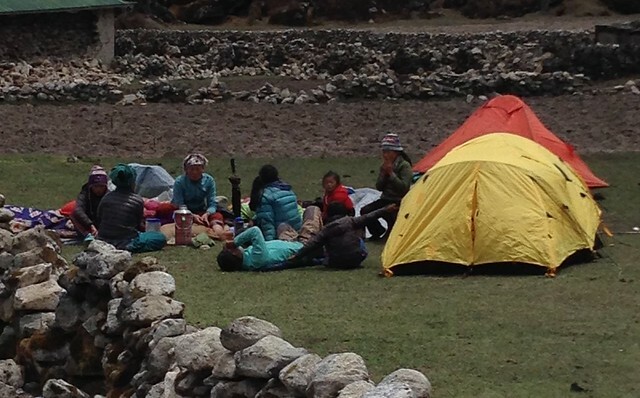 Danielle Brodsky is a university student whose life was changed by her experience at our Children’s Home in Nepal through the National Geographic Student Expeditions community service program. Danielle is now committed to making a difference in Nepal through long-term fundraising and developing her personal relationship to the children through annual visits. We are proud to have Danielle as a donor and partner in fundraising! My grandfather wanted to give me the opportunity to open my eyes to a new world, a world much different than the small suburban town I grew up in. He encouraged me to explore the National Geographic Student Expedition Catalogue, I immediately clicked on the “photography workshops” tab and skipped over the “community service” tab. I was a junior in high school; I had never believed the idea that I could possibly help other people. Once I realized that I had absolutely no idea where I wanted to go in the world, I decided to just do a quick look through every tab. Something seemed captivate my interest when I read about Nepal. Looking through the National Geographic webpage, I became more and more drawn to the idea of spending time working in a village that had been so affected by the earthquakes of 2015. Could I really make a change in this community? What kind of relationship would I form with the children in the Little Angels Children’s Home? I decided to sign up for the adventure and see for myself! Getting dropped off at the airport was a bit terrifying. I was about to spend nearly three weeks with complete strangers, in a country… on a continent, that I had little to no knowledge about. My two guides were incredibly smart and excited to share such a beautiful experience with us students. I was lucky enough to get to know 18 other students that all shared a curiosity and a passion for traveling. We simply couldn’t wait to begin our adventure! Knowing that this would be an experience I could never forget, I decided to make a mini documentary. We had nightly meetings after saying goodnight to the children and one night, we students decided to work together to raise money to help the children and Talamarang as a community. We were able to raise over $6,000 in 2016, which is currently being used to build a fish farm, a mushroom farm, and other projects around the house. I kept in touch with Nancy Porten of Changing Lives Nepal during this fundraising process, and she helped me realize how much I truly care about these children. Spending a week with them was an amazing experience for me, but I came to understand that to really make a positive change in their lives, I would have to dedicate much more time and love. I decided to return to Nepal this past summer alone, which was a completely different adventure! I met a girl along the way who I named, ‘Serendipitous Jane’, and she decided to join me at the Talamarang home! We became the closest of friends, and although she lives in Canada, I am still planning to take a road trip up to see her. We rode from Kathmandu to Talamarang with Goma, Neel’s incredibly kind wife. She doesn’t speak much English, but her laugh alone was able to translate her loving spirit. We arrived to the home and met two girls from Draiocht, an Irish fundraising organization led by a woman named Melanie, who has been working with Neel since she met him as a teenager! I finally saw all the children again and immediately got to catching up with them (It brought me to tears to know that some of them remembered me from last year!) and helping them with their homework. I sat with Kiran and Krishna and we looked across the hill to the lights of the houses across the water. They told me, “We have everything here. We are so thankful to be in this home, the homes over there have so much less.” We rose the next morning to work in the millet field and sing beautiful Nepali music. The kids wore flip flops to hike down steep hills, and the clothing they had worn to breakfast and most usually dinner the night before. They thought about their families and stresses; whether it be about a crush at school, or about where they will go after they complete grade school. Running a children’s home requires constant expenses for food, clothing, books, medicine, and more. To help the home be more self-sustaining in the years to come, our goal for 2018 is to construct a community grain mill at the edge of our garden. People in nearby villages currently walk 5 hours round-trip to the closest grain mill. 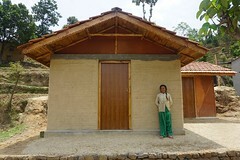 Building a local grain mill will benefit both the local community and also the Children’s Home. Villagers would save 3 hours walking (and carrying heavy loads) if the mill were closer to their homes–150 houses or more would benefit and the children’s home would continue to build a positive relationship with the surrounding community. 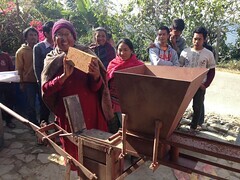 The traditional arrangement in Nepal is that people give 5% of what they grind to the mill (in this case, to the Children’s Home). This means the home will generate fodder for its animals, flour to cook with, and extra grain they can sell for cash to cover food expenses. The total cost of the grain mill is $8,000-$9,000, including the building, the grinding machine, and running the electricity supply. In return, the mill should produce a value of about $5,000-$6,000 annually (in grain, not cash). I am hoping to raise $8,000 by early 2018 to get the grain mill built. This is a lot of money, but I am confident that we can raise it! Donate here. Thank you so much for taking the time to read my story about my experiences in Talamarang! I hope you feel encouraged to get involved in the improvement of these children’s lives; every single dollar makes an impact! I tell pretty much everyone I meet that they should visit Nepal if they can… so I will tell you as well. Visit Nepal! If you are a student and are unsure about what you want to do in your future, don’t worry. I was in the same place as you not long ago, but visiting Talamarang has shown me something invaluable; that working with children is such an necessary and incredibly fun thing to do. They are the future of this world, so let’s give them the tools to be the best and the happiest they can be! In case you missed it earlier, here’s my mini-documentary from 2016 again with the children’s home featured starting at 4 minutes.